Thank you for having me on your blog today. I really appreciate it. I guess when it comes to promoting myself, I am the woman in the corner of a room with a glass of fizz holding a bookmark, hoping someone will notice. So here’s my bookmark, and I’m drinking a mug of tea! 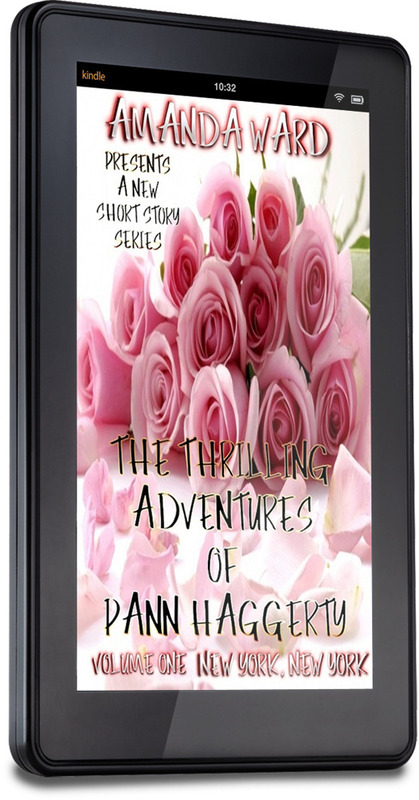 My name is Amanda J Ward and I am the author of The Thrilling Adventures of Pann Haggerty; a short story series about an Englishwoman of a ‘certain’ age who takes a year off to travel around America in an RV in search of new experiences and perhaps love. They are fun and quirky, and the best compliments I have had is that my mother, mother in law and daughter have read them. Which is really amazing. I have a full length novel out in September called Without Saying A Word. ‘The good guy gets his girl! After being in love with his older neighbour Laura since they met a year ago, Rhean Tate, Viscount Kirkleigh seizes his chance to make her his, when her past reappears threatening her and her children’s safety. This thirty-four year old male virgin, whisks her into marriage vowing to protect and cherish Laura and her family, with his name and noble family connections. I live in England with my husband, our three young children and two mad cats called Arthur and Merlin. I write mostly romance, but am dipping my toes in a few uncertain waters such as a regency time-shift which is all planned out. This is the first story in the Fitzroyal novels set around three siblings and their widowed mother. A couple of years ago I entered New Voices run by M&B. I also entered last year with Her Reverend Majesty, about a vicar who marries a king of a foreign country and has to choose between her vocation or love. Unfortunately although a lot of people were complimentary. It didn’t make the final. So, later on that year I joined NANO where Laura and Rhean’s story was being written. I managed to finish it early this year and I had an R&R from one publisher. However, when I was asked by Trestle to submit, I got an immediate response to could they have it. Roll on September when Bonkers in Boston and Without Saying A Word come out. I’m by no means a regular writer. I don’t have a set time of day when I can write. Each day in my home is completely different as to how, when and if I can get anything done. The past few weeks have been manic as the kids have been off school. It’s only now in the week before they go back, that I am able to catch up and do reviews etc. I am a HUGE reader. I have been reading since I can remember, and there were times when I am sure my mother despaired at me for hoarding books under my bed. Before my father died, we used to go to the library together every Saturday, with me trotting after him pulling the shopping trolley. He would fill it up with war books. My grandmother was a reader of romantic fiction. I found some in her spare room one day when I was eight and snooping. Since then I have been hooked. My favourite series is still the Temptation line of Harlequin books, but there are authors I am exceptionally loyal to. I adore historical fiction and royalty books. I have dvds about them and biographies lining my bookcase. 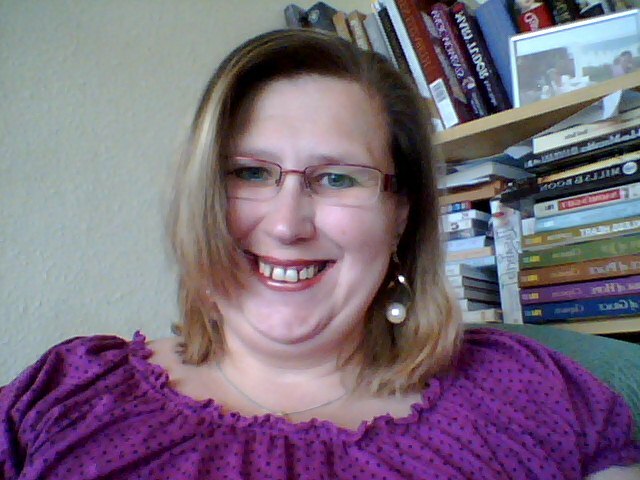 Phillippa Gregory, Anne O’Brien, Marguerite Kaye, Michelle Willingham and Sophie Perinot top my list there. My influences writing wise come from my friends, and also what I like to read and watch. I am a HUGE Gilmore Girls, Waltons, Little House on the Prairie, Sci Fi and Big Bang Theory fan. When I write Pann, for some reason, I see it as a sitcom. I think that’s the best way to describe the series, and I like working to a deadline for some reason. The worst thing about me is that I procrastinate like mad. It is really dreadful. Finding other things to do rather than sit in front of the screen and get words to appear on it from my head. For some reason I love working in peace and quiet. I guess it’s because I talk to myself when I type and the looks I get from my children and husband, and the cats too are very offputting. Yes there are days when I feel I have no talent for writing and that what I do is absolute rubbish. How do I cope? I walk away from what I’m doing for a time. Any advice? Don’t give up. Here is an teaser from Pann Haggerty Volume three Bonkers In Boston. For standing on the steps was Pann. She had a union jack cap on her head and and a frilly apron around her. She was handing out slices of cake and plastic cups of tea to anyone that would take it. A broad smile lit up her pixie like face and she was obviously having a fantastic time. Laughing and chatting to tourists and residents alike. “What do you think you are doing Crazy Lady?” Joe said slowly. “Well, duh” Pann mocked him. “What does it look like. I’m having a tea party. Where better to have one. Than here!” She announced taking a bow. Cutting a piece of sunken, lopsided cake, Pann put it on a napkin and handed it to Joe. “I knew you were up to something” Joe muttered taking a bite of the cake. It tasted much better than it looked. “You can’t have a tea party without cake” Pann said stubbornly. Joe took a deep breath. “Wrong revolution darlin. That was the French one” He informed her. “And the tea party?” asked Pann, totally confused by all the history being thrown at her. “What an absolute waste of perfectly good tea” Pann sniffed. She sat down with her own cup and munched on her cake. Joe couldn’t resist taking a photograph of her. “Say Tea Party” he teased. Pann stuck her tongue out at him. Joe continued taking photographs anyway. She pulled up her jeans at one point exposing red socks. “Red socks. You said Boston was the home of the red socks. So I am wearing them because I’m in Boston”. “Pann, you crazy Englishlady. When I said Boston was home to the red socks, I meant the Red Sox. A baseball team” Joe said slowly and carefully so she would understand. “You have to be kidding me! You’ve never heard of baseball?” Joe’s voice was incredulous. “Of course I have. You hit a ball with a round stick. Then run around the field and touch bases. That’s rounders” The tone of her voice dared him to argue the toss. “What about football?” Joe decided to open the can all the way. “Football” Pann was evidently enjoying her banter with him. He sat down on the steps and put his head in his hands. “Save me from crazy Englishwomen” He pleaded to no-one in particular. “Sorry pal. You’re on your own” Came a retort from a passer by. Pann sat down beside him and snuggled up. She gave a sigh of happiness. “That was fun” She giggled girlishly sipping another cup of tea. Well there you. A sneak peek at what Pann is like. If you want to read more, you can catch up with Pann on. Thanks for having me and hope to hear from readers soon! See, that’s a misleading way to start. There are actually eleven of us and twelve stories. 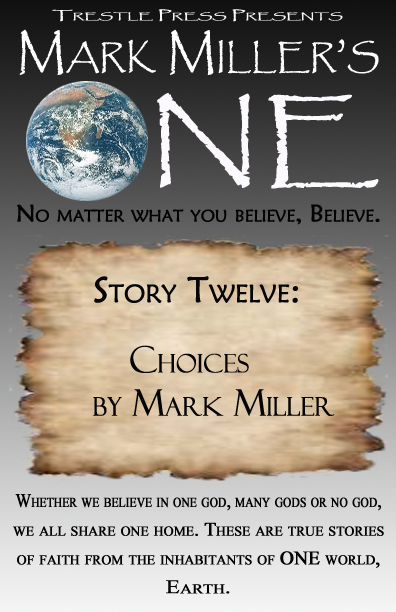 I’m talking about a group I fondly refer to as the Authors of One and our series, simply called One. The Authors of One consist of ten authors, plus me. Ten equals one. I think we have the math straight now. I think it has grown beyond that. What’s more, it has really taught me a lot. We are nearing the end of the series. Story Eleven, by well-known Amish author Sarah Price, is available now. After that, I am going to put the bookends on it with Story Twelve. In between my first story, Meant To Be, and the last, which I am calling Choices, a myriad of talented authors opened my eyes. I felt like they stuck out their hand and when I grabbed hold, they carried me around the world. Along the way, I watched them learn, live, fall in love, and even confront death. We shared more than one out-of-body experience and time-travelled. The best part is that it is all true. These experiences are honest and emotional. Time and again, they bared deeply personal parts of themselves, taking risks that allowed we readers to become that much richer for looking into their lives. Another thing that should be said is these are generous people. They are not preaching from some obscure pulpit. They each have a message and want to give something more. Each author in this series is giving at least half, some all, of their proceeds to charity. These stories support a variety of worthy causes. An Amish Home. That’s what Allan has now. He found his path and so much goodness came into his life. My new stories are set in Karsten Field about eight to ten years after An Amish Journey. Allan is happily married with two young children. His oldest daughter, Alice, even has a family of her own. Life is good. That doesn’t mean they don’t face any challenges. Sometimes, when life is that good, we need reminders. An Amish Home – Attainable is one of those reminders. Karsten Field is suffering from a severe drought, something to which many readers can relate. However, having an independent, simple life could mean the end of Karsten Field. Without modern technology to save their crops, Allan and Ben Abrim worry about winter food shortages. They are in the presence of a metaphorical Goliath. The story of David and Goliath inspired Attainable. A small Amish community is only as strong as its faith. A natural disaster could destroy everything they have. Escaping the drought seems to be unattainable. Although Allan has been set free, he still has plenty to learn and God is always teaching. The big questions: If the people of Karsten Field are so faithful, why would God let them experience a drought? Why would He not send rain? The answer is simple: No matter what comes before you, God will see you through it. That does not mean He will change weather patterns, mainly because His reward is not on earth. It doesn’t matter what happens to us here. Cancer, war, poverty are all people problems, not God problems. Bad things can and will happen to us in this life. God is not going to solve all of our problems for us, but He will be there to see us through them, as he did with David. God could have struck down Goliath or sent a flood. Instead, David had to stand up and face the giant. He was never alone, God was always with him. God is in Karsten Field. Allan has to stand up and face his own giant. If things seem impossible or insurmountable, Allan has to learn that everything is Attainable with God. 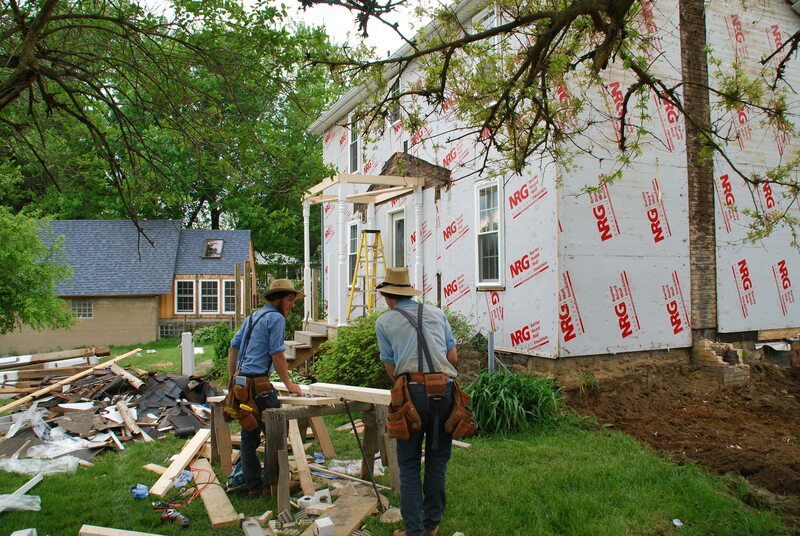 An Amish Home – Attainable will be coming very soon! Today I have here with me two very special people; Roger Rheinheimer and Crystal Linn, who are Amazon top-ten selling Kindle authors, including their joint Amish romance series, Amish Forever. Welcome Roger and Crystal and thank you for joining us today. Tell me, how does it feel to be a successful author? Roger: I’m still blinking! All I can say is thank you to our dedicated readers and the tireless promotional efforts of our amazing publisher, Trestle Press. Crystal: Thank you for having us, and thanks to our wonderful readers. To be honest, the reality of it all has not sunk in yet because my life has not changed. I still do normal things like cook dinner and walk my dog. I must stop and remind myself that I am indeed a successful author. What made you decide to become a writer? I understand it is hard work with little pay, unless you get lucky. Roger: Lucky is right! I feel we were just at the right place at the right time. Trestle Press has been a tireless advocate of the authors they represent. I’ve been writing all my life, and this is the most fun so far. Crystal: There are important writers on both sides of my family. I grew up writing but thought nothing of it. Then, in the year 2000 we decided I would try to get my deceased mother’s stories published. In the process I became published and was stunned by the raving reviews. Whose idea was it to write Amish Forever? Roger: Apparently Giovanni Gelati of Trestle Press had read my first novel, Amish Snow. He contacted me and asked if I would write an Amish romance novel. Interesting, tell me Crystal how did you become involved? What is it like to co-author a book? Roger: First of all, I had never co-authored before and one of the reasons I chose Crystal is because she was an experienced co-author. It’s great. We complement each other well and even with the pressure of deadlines and outside demands on our respective time commitments, have not had any significant disagreements. It’s really been awesome. Crystal: While Amish Forever is my first novel, it is my fourth book to date. All four were either co-authored or collaborative efforts. It is like joint venturing where the key people sit down and discuss goals and game plans. Then they go to work, do what needs done, and communicate clearly. Speaking of doing what needs done, who writes what and how do you get your writing voices to blend together so well? Roger: LOL, good question! We actually sat down recently and had what we irreverently called a “board meeting,” and wrote out a pretty detailed outline of who takes the lead on what. I’ve always heard that there two things cause a partnership to fall apart: failure OR success. Thankfully we have completely avoided that and I think are more in tune than ever. I love the roaring engine, smoking tire scenes and Crystal conveys beautifully the teardrops falling on the vanity panel scenes. 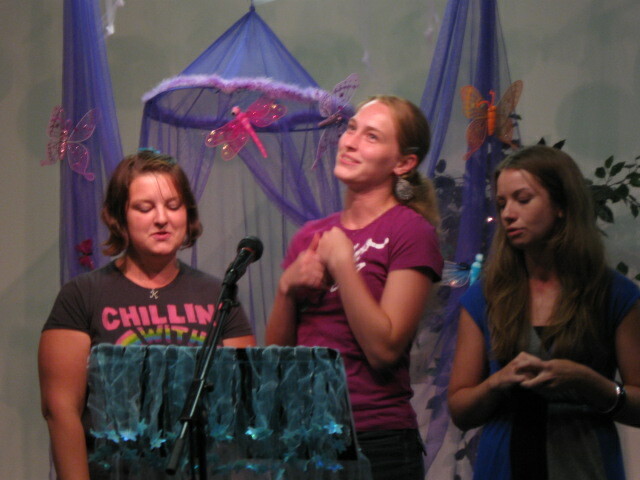 Crystal: Before we start writing the next chapter, or volume, we email each other notes and ideas. I write the first draft and email it to Roger. He adds to what I wrote and writes more scenes then emails it back to me for editing. I edit and email it back to him. He then edits more and either sends it back to me for editing, if needed, or sends it to early readers. After that we give it a final edit and format it. When we are satisfied Roger emails it to Giovanni, our publisher. Obviously you two are very organized? Tell me what it is you want your readers to take away from the story? 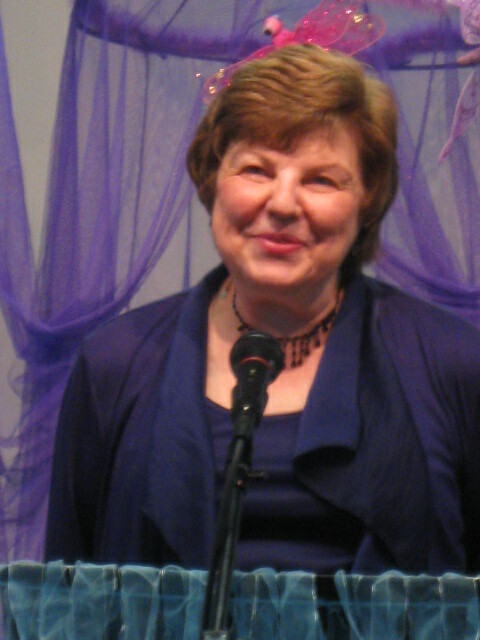 Crystal: All of my books are about overcoming, in one way or another. The perfect example is my book: God’s Counterpoint, published in the ONE anthology by Mark Miller and published by Trestle Press. I want the readers of Amish Forever to come away feeling good about the story and feeling encouraged that they, like Ava, can overcome the obstacles in their own lives. 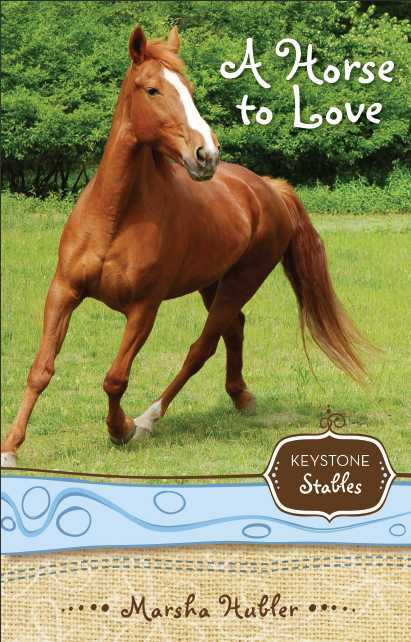 What in your opinion, is the fascination that American readers have with these Amish books? Roger: The Amish, I believe, appeal to that fundamental human desire for simplicity and goodness. I think a lot of us envy their unswerving belief in a higher good. Crystal: I agree with Roger. I also believe that the reader can live the Amish life vicariously, to borrow one of Roger’s words, through the lives of the characters. The two of you are obviously committed to your writing. What are your future plans? Will there be more books? Will we learn more about Ava and Zeke? Roger: Early on when we realized how popular this series was going to be I commented to Crystal that if we don’t write more together we need to admit we’re not really serious about writing fiction. We already have several story spinoffs. I especially like the ones involving Abe and Bliss. Crystal: I look forward to writing more with Roger and, in addition, I have my own writing career. Recently I sent two books to publishers. One is a short story that Giovanni, of Trestle Press, will publish as soon as I make it longer. The other is a non-fiction grandparent’s guide I sent to a publisher I know personally in the Seattle area. Our time is up, unfortunately but again, thank you Roger Rheinheimer and Crystal Linn for joining us today – and again, congratulations on your success with the best-selling Amish Forever. I look forward to reading more of your books. Roger: Thank you for having us. Crystal: Thank you for inviting us, and for the good wishes. Visit Roger’s Blog here, and Crystal’s blog here. 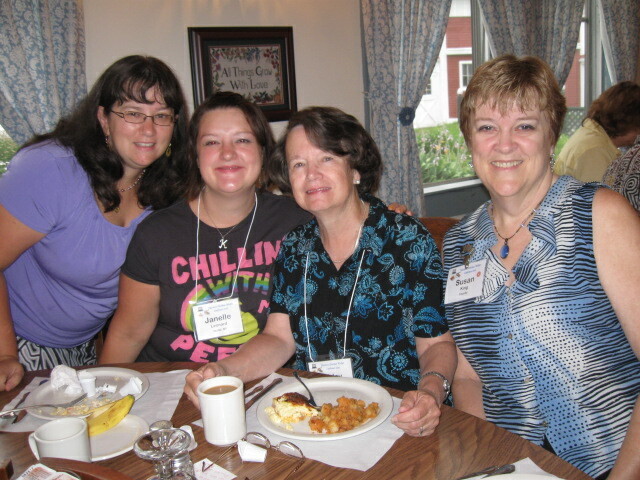 (A Note from Marsha: Hi, blogger friends! You’re probably quite surprised that I’d be blogging twice on the same day since my normal routine has been to post at this blog once every two weeks. Well, here’s the deal. What is your connection to the Amish? I became good friends with Lydia, (Katie Byler in Knit Together) after buying so many plants from her greenhouses, and “Granny” while taking lots of people to her quilt shop. (Granny wishes to be completely anonymous) She is Granny Weaver in Amish Knitting Circle, Amish Friends Knitting Circle, Amish Doll and Knit Together. When did your fascination with Amish culture start? In my mid-20’s my husband and I moved to Upstate New York. There are many Amish in rural New York, and we became friends with a handicapped man, Harry Hershberger, and his wife, Katie. (Eli and Lottie Hershberger in Knit Together) His buggy was hit as a young man, after the birth of their daughter and the Amish build a variety store on the side of his house. My four kids loved to go in and get coloring books, and we all got to know Harry from our regular visits. He had some use of his hands and made quilts, and I took them to festivals. One day he told me I was a trusted English friend, and invited me into their food co-op. When I moved back home to Pennsylvania fourteen years later, the Amish in Smicksburg knew Harry & Katie. Since I was a trusted friend to them, they trusted me. Once you’re a trusted friend, it’s like having an all access pass into their lives it seems. They readily open up, and if you’re one of them. Once I was chatting with a woman and her husband came home from work, and he never met me before. He looked at her sternly, and she said, “Friends with Harry Hershberger in NY” and he smiled at me and nodded in approval. Tell us about your novels and continuing short stories. My novels out now are stand-alone stories, but are all called Amish Knitting Novels. Knit Together and The Amish Doll are set in different locations, but they both focus on healing through knitting and faith in Christ. Continuing shorts have made quite a comeback. Anne of Green Gables, Pickwick Papers, and Jan Karon’s At Home in Mitford series were all weekly serials in newspapers. My shorts come out every 3 weeks. Amish Knitting Circle started with Granny inviting five women from her church district to a knitting circle to knit shawls for tornado victims in Joplin, MO. She invites women she has inkling are hiding problems. Granny spins yarn and feels women are stronger spun together, and by the end of 10 episodes, you see how much they needed each other. Amish Friends Knitting Circle is about Granny and her girls having a knitting circle with friends from the SmicksburgBaptistChurch. It’s been lots of fun to write, since I take lines right out of my own conversations with the Amish. What are your readers saying about your books? Since I deal with cancer, infertility, spousal abuse and other women’s issues, women tell me they are finding help and comfort, especially through Amish Knitting Circle and Amish Friends Knitting Circle. Some women are starting knitting or craft circles, spreading the message that we’re stronger as women, spun together. Also, Knit Together is semi-autobiographical. I wrote if after losing my mom and two cousins in 13 months. So it deals with grief and it seems to be ministering to people. The complete Serenity Prayer is in the book, and different parts of the prayer are prayed by different characters. It helped bring healing to me, and I hope it does the same for my readers. Where can readers find your books and connect with you? You can contact me at www.karenannavogel.com or on Facebook at www.facebook.com/karen.a.vogel.9 My blog, Amish Crossings, is meant to be a place to cross paths with others interested in the Amish or simple living. Please join me there at www.karenannavogel.blogspot.com I also share my Amish photography on Pinterest, and you can follow me on Twitter @karenannavogel. My eBooks can be found on Amazon, B&N, Sony, and anywhere eBooks are sold. My paperback, Knit Together and The Amish Doll, are on Amazon for now, but soon to be distributed to brick and mortar stores and other websites. Our family store, Thrifty Christian Shopper, www.thriftychristian.com (Also on EBay and Amazon) will carry the paperbacks as well. You also might find them in your local library. Ask the librarian to get a copy if they don’t have one. Thank you, Karen, for allowing us to visit with you and your work today! Home of the Montrose Christian Writers Conf. Every year the last full week of July I attend what I think is one of the most beneficial writers’ conferences in our great land. 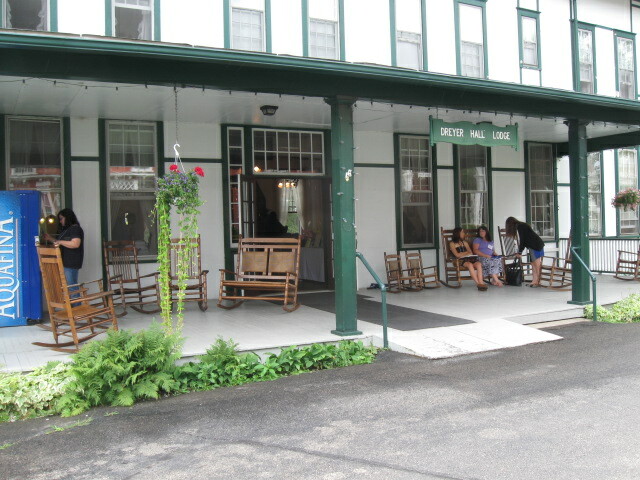 For the last fourteen years, I’ve not missed the Montrose Christian Writers Conference in Montrose, PA, held at the restored home and conference grounds started by the world-renowned evangelist and missionary R.A.Torrey back in the early 20th Century. Nestled in among towering maple trees, the conference grounds invite all attendees to come apart from the busy world and bathe the soul in Christian fellowship. Over the years, I’ve been on faculty about five times, presenting workshops about juvenile fiction, promotion, writing techniques, and so on. But this year, I went just as a conferee and enjoyed sitting, listening, and fellowshipping with fellow writers and friends I’ve made there over the last fourteen years. 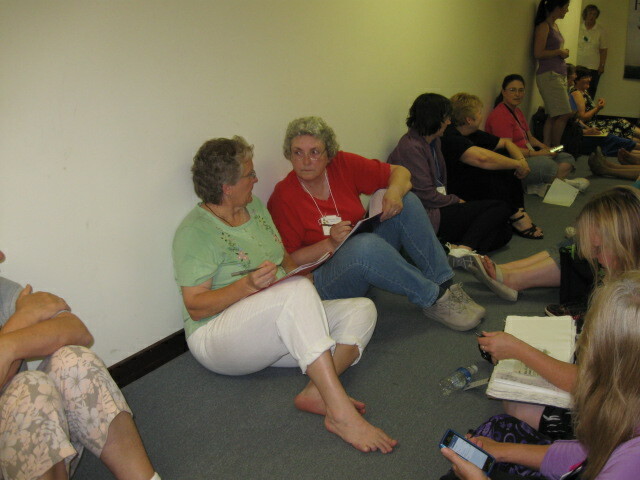 basement of the main conference building, Torrey Lodge, where we waited in a hallway until the storm passed by. We sang hymns and chatted, and, some faculty members even engaged in critiquing some conferees’ work. Thankfully, other than some branches blown down, there was no damage to the conference grounds, and we were able to continue with the normal schedule, which included a delicious supper in the dining room and then the Readers’ Theater at seven o’clock. The conference ended at 11 a.m. Friday morning, and we writers all left with sad goodbyes and a promise to stay connected on Facebook at the Writers of Any Genre Group and reunite next year “at the same time/same station,” the 2013 MCWC. I said all that to say this. If you are serious about writing, please consider attending writers’ conferences. There’s no better way to learn the craft, to meet other Odd Ducks just like you who will understand you, and to make connections with editors and agents, who just might like your work and give you a contract. Of the five contracts I’ve signed, four of them were initiated at writers’ conferences when I met an editor or agent who liked my work. So check Angie’s list or some conference websites and make a point to attend some writers’ conferences over the next year. And if you’re within a few hundred miles of Montrose, put that conference on your itinerary list. Writers come from as far as the New England states, Virginia, Michigan, Florida, and Tennessee. I’d love to meet you, and I guarantee that you’ll say it was well worth the time and expense to attend one of the best writers’ conferences that ever was. David Stearman tells me that he came into writing novels in a backhanded way. He had been a professional recording artist and songwriter all his life, so his idea of writing was scratching out poetry to highlight melodies. But he had traveled a lot, and some of his trips had been to exotic places—meaning he already had a few good stories to tell. Fatefully, one afternoon he was reading the first chapter of a book about a guy who collects orchids in the jungles of Papua New Guinea. “I know,” he jokes, “who reads stuff like that, right?” And suddenly it hit him: He could do that—he could write stories set in cool locales! So he wrote one. And it wasn’t very good. But by then he’d developed a deep-seated conviction that God had called him to craft novels, so he got help. He contacted several friends and acquaintances who happened to be published authors and asked them to critique his work. It was through their help he began to learn the techniques required to tell what he hopes are engaging tales. One of those stories is called Hummingbird. The main character Lexa Morales feels like a misfit. She grew up in a rough neighborhood, surrounded by the worst elements of society, but her heart yearns for kinder places and greater things. 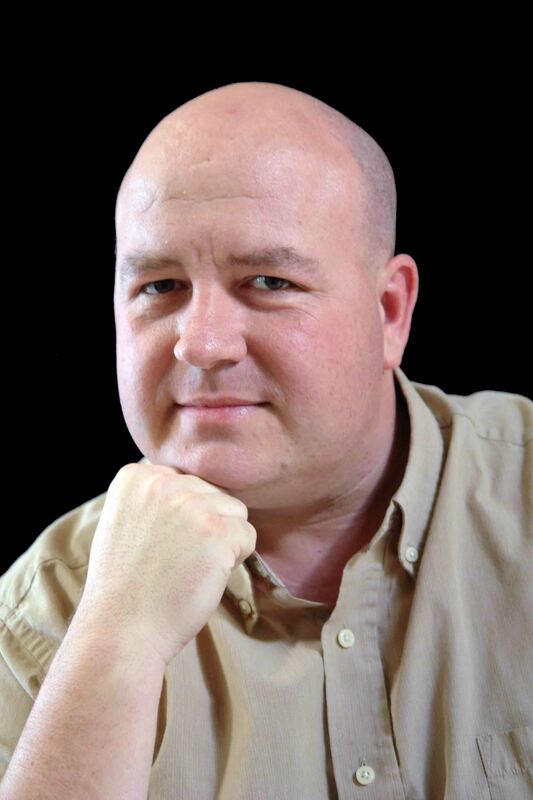 David Stearman is a novelist, recording artist, songwriter, and missionary whose travels take him around the world. He loves to write about exotic locales, describing them as only a cultural and physical eyewitness can. 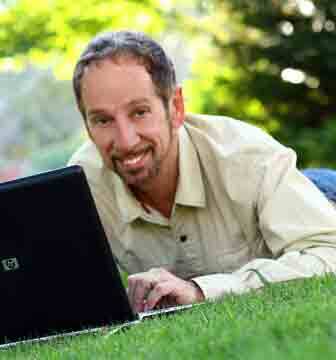 When not writing, singing, or speaking, David enjoys outdoor sports, gardening, and breeding birds. 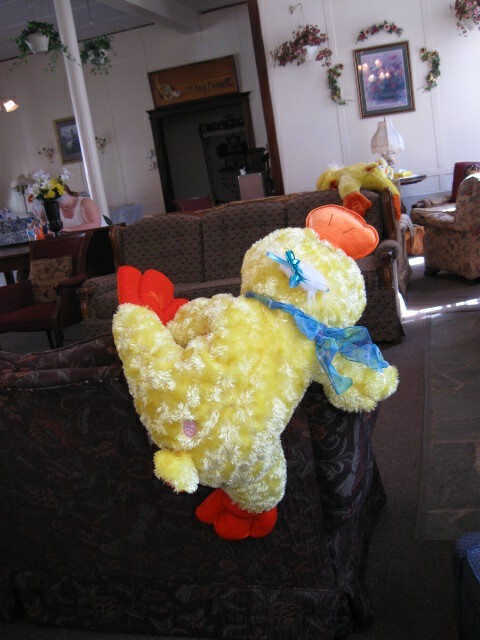 He lives in Kentucky with his wife Diane, their mother and daughter, Bichon Frises, Latté and Lilli, and a cheerful green parrot named Alley.